OSWEGO, NY – The Oswego Youth Community Orchestra will present Witches, Wizards and Whimsy on April 22 at 7 p.m. at First United Methodist Church at 7111 State Route 104 West, Oswego. Pictured are the Oswego Community Youth Orchestra Director, Jackie Darvill and the orchestra performing at Safe Haven Museum last season. This spring concert will feature music from the movies Harry Potter and the Chamber of Secrets, Fantasia 2000, and Lord of the Rings: Fellowship of the Rings. Also featured will be an original work based on the Legend of Sleepy Hollow and selections from the opera, Hansel and Gretel. In addition, the Sinfonia Concertante, for Viola and Bass, will be performed by soloists Anna McKay and Kerrigan Cummins. The concert highlights the talent of students from Oswego and Fulton school districts and the broader Central New York community. 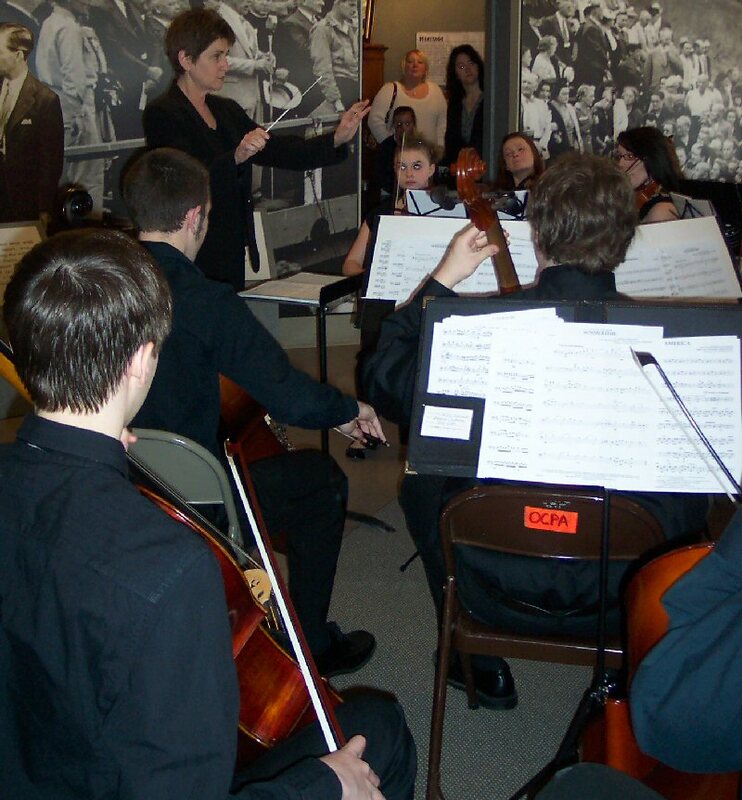 The Oswego Community Youth Orchestra seeks to challenge and nurture young area musicians to strive for excellence, to explore their role in humanity, and to contribute beauty to the community, through the study and performance of orchestral music. The performance is $5 and the public is invited to attend.